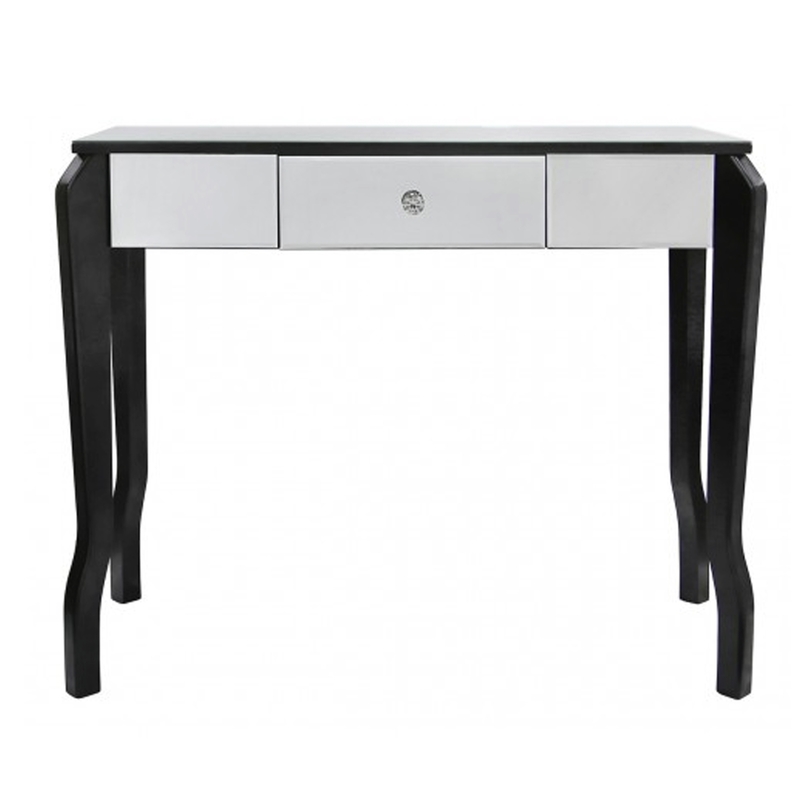 Introducing the newest addition to our mirrored furniture range, this beautiful Black Mirrored Console Table. With a complete mirrored exterior and one drawer with a crystal handle it's the perfect addition to add to your home. Finished off with a black trim.